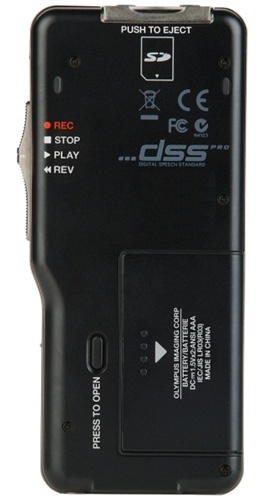 Recording Format DS2 (Digital Speech Standard Pro) & DSS Standard. Folders Messages 1 to 7 folders (Default - 5 folders) /200 messages per folder. Demographic Data Input Author ID, Work Type, Date/Time, Priority, Index, etc. Editing functions : File/Edit function allows you to easily insert, overwrite, partially erase files. 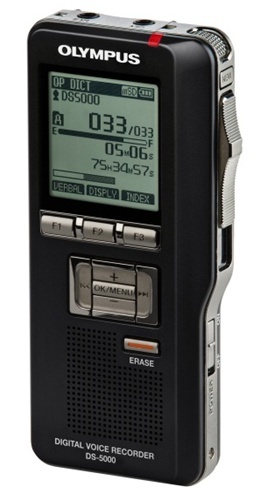 Three Programmable Buttons : Provides customized functions to suit your dictation needs. Multi Function Cradle : Recharges the Ni-MH battery pack, allows hands-free recording, and provides for fast and easy uploading/downloading of data to your PC. 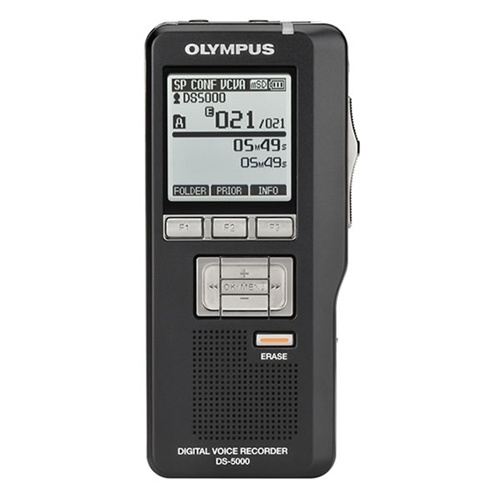 Better sound quality with DSS Pro QP (Quality Playback) mode Supports encryption and decryption of dictation files and document files sent over the Internet. Up to 32 index marks per file. SD and microSD, dual memory cards are supported. Optional barcode scanner. Device lock function with password lets you keep your files safe and secure. Verbal comment function. Instantly search and play back verbal comments using DSS Player software. Large LCD supports and displays multiple languages, including English, French and German. Centralized firmware update. Low power consumption allows for long recording times. 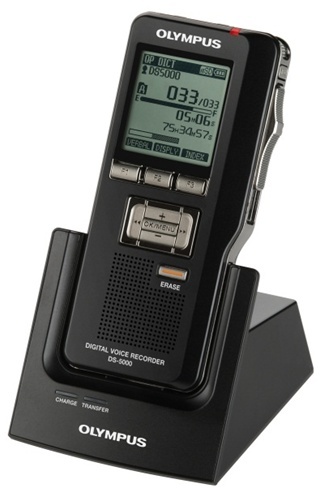 DS-5000 Recording Format DS2 (Digital Speech Standard Pro)& DSS standard.